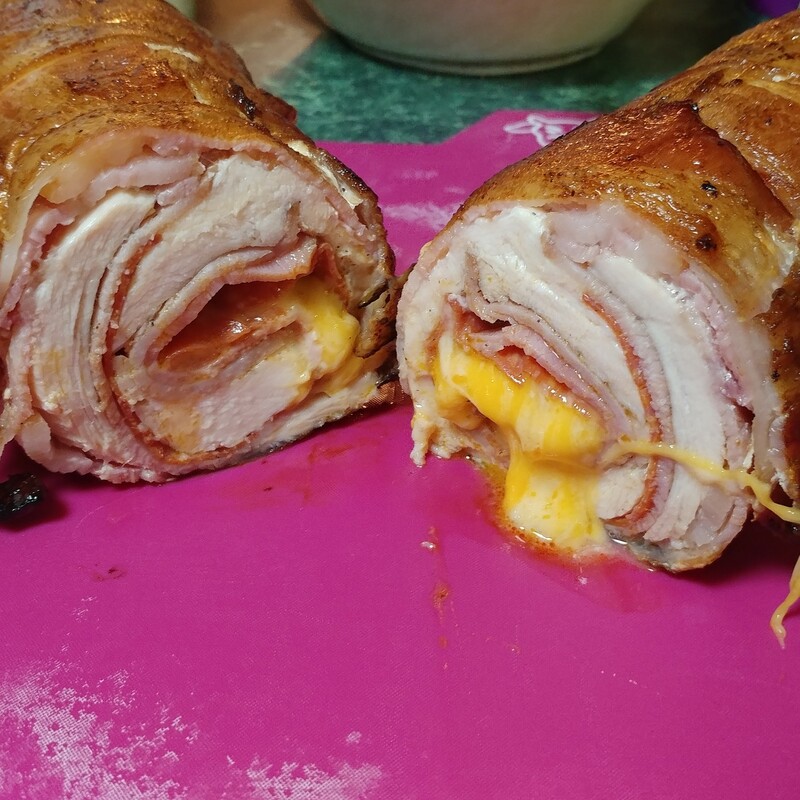 and then I threw on some cheese. 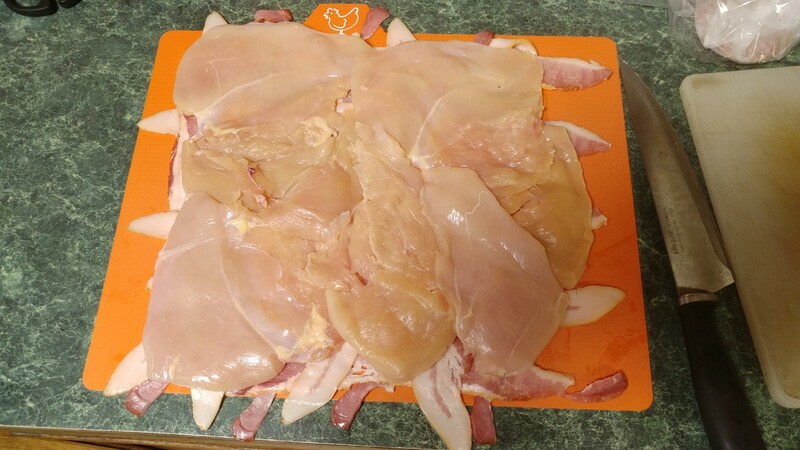 Next, you need to tightly roll up the chicken without the bacon. 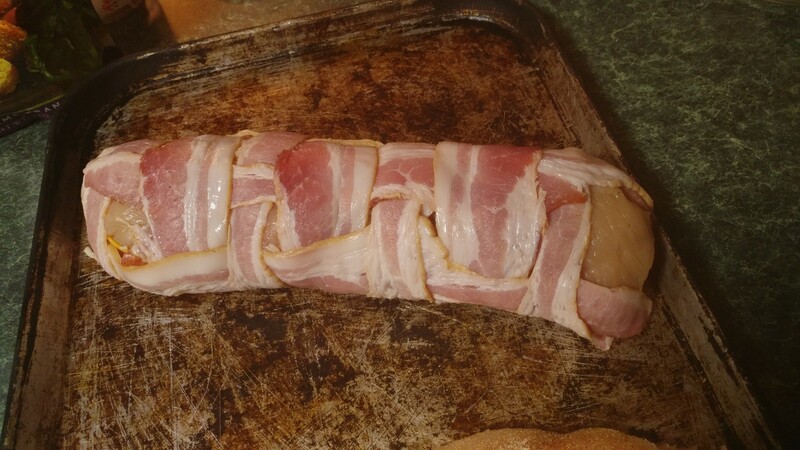 When the chicken roll reaches one end of the bacon weave, roll the whole thing back the other direction with the bacon. 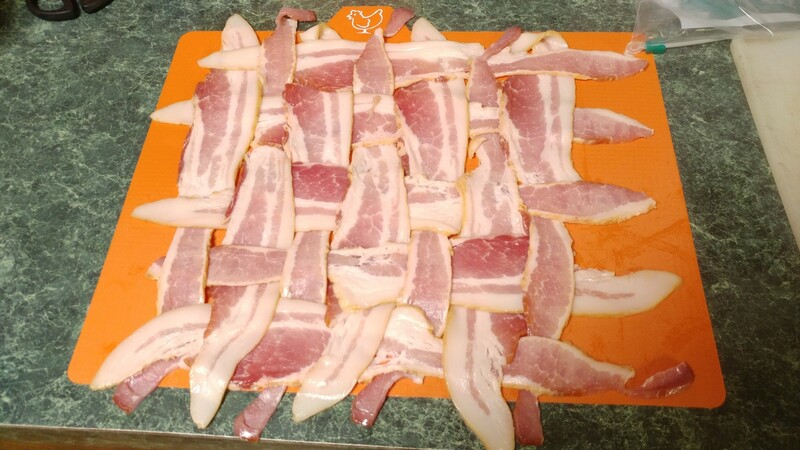 I like to throw this on the grill right on the edge of the coals. I move it a little closer over the heat the later in the process I get. 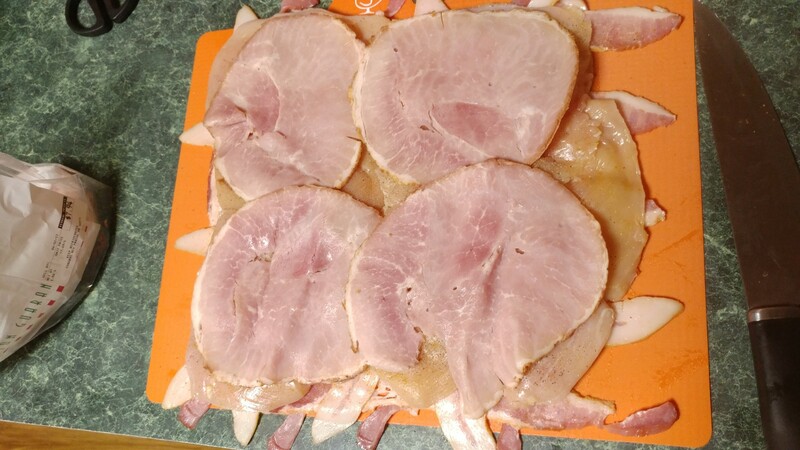 This one here cooked for about 45 minutes. 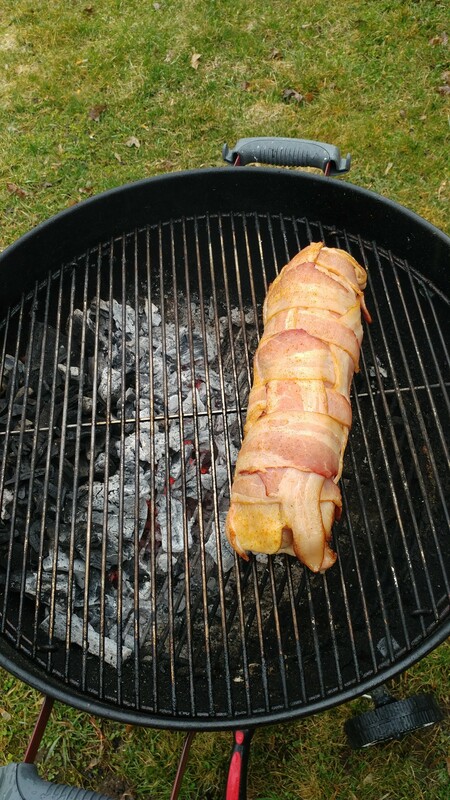 I pulled it off the grill when it hit a internal temp of about 160 degrees. 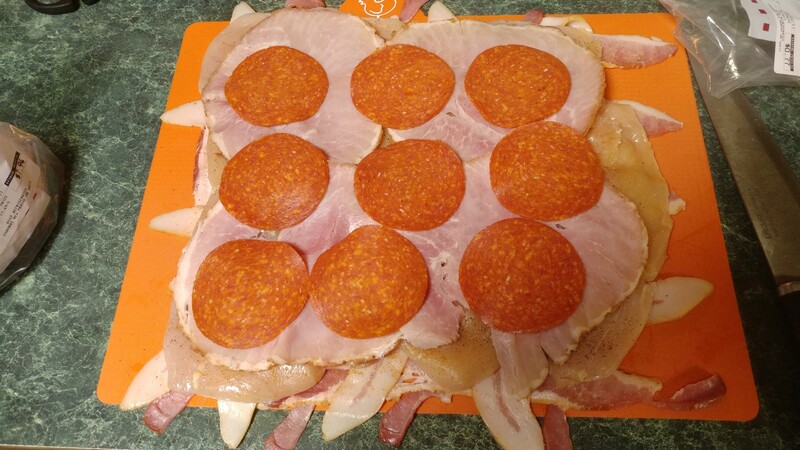 I let it sit for a couple minutes and then I sliced it into about 1″ think slices. Turned out great! I made it all on my Weber Kettle Grill with Lump Charcoal and some Hickory Wood Chips. Well…I am really glad you found me! That chicken looks awesome! Well..guess what my next grill mission is? LOL. I showed this to my wife and it’s on! Slight modifications, though. 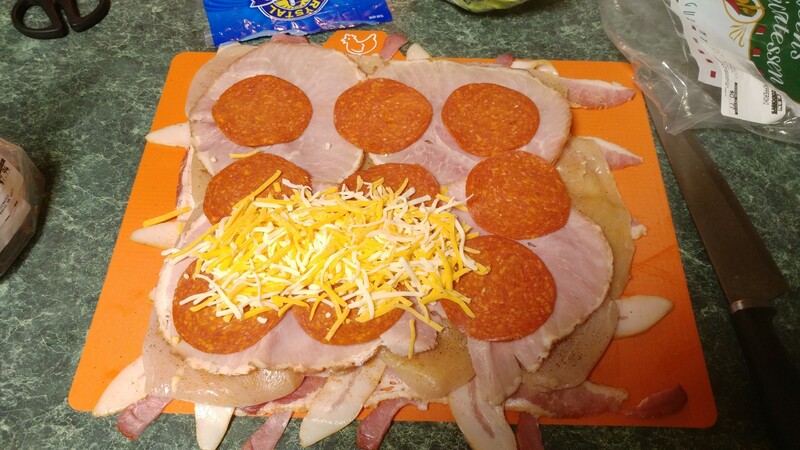 Not so much pepperoni fans, so probably use some black forest ham, and maybe some mozzarella cheese. What a beauty! I’ve got to try it. It is pretty good! 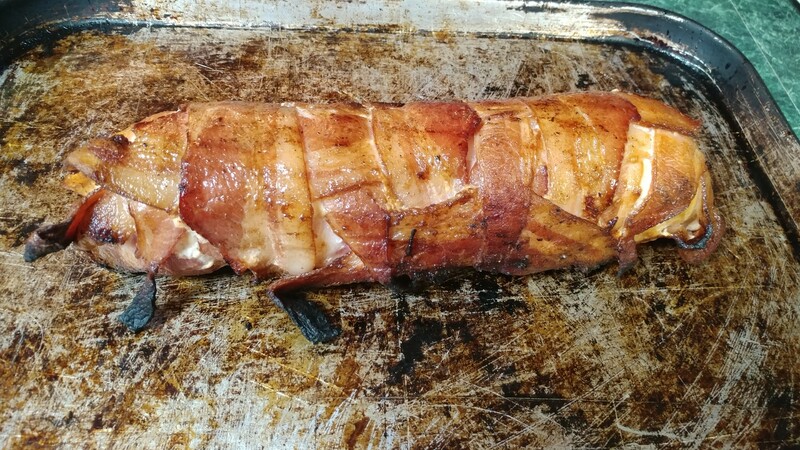 We are doing a Chicken Caesar Bacon Wrap this weekend!